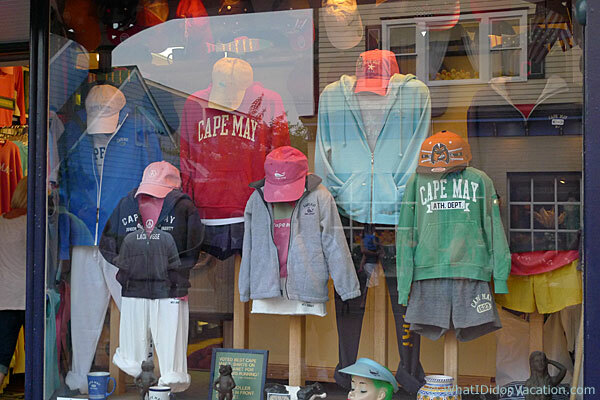 Cape May is the next town down the shore from Wildwood Crest. 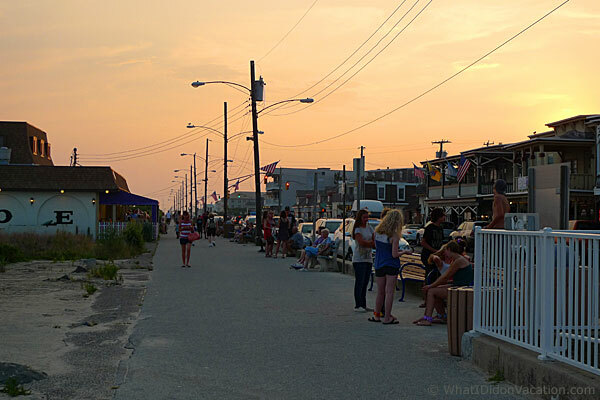 It's just short drive and one toll bridge to get there from the Wildwoods. 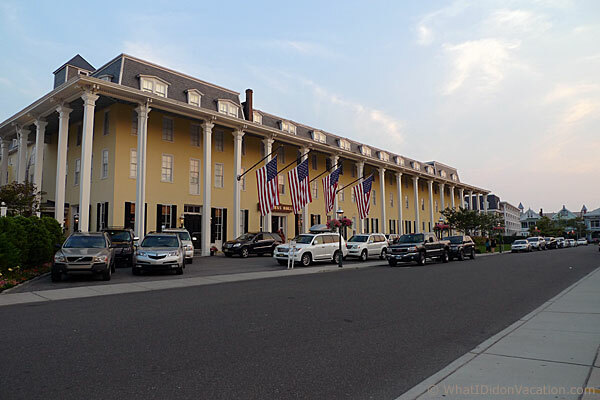 Cape May is noticeably more upscale than other points along the Jersey Shore. 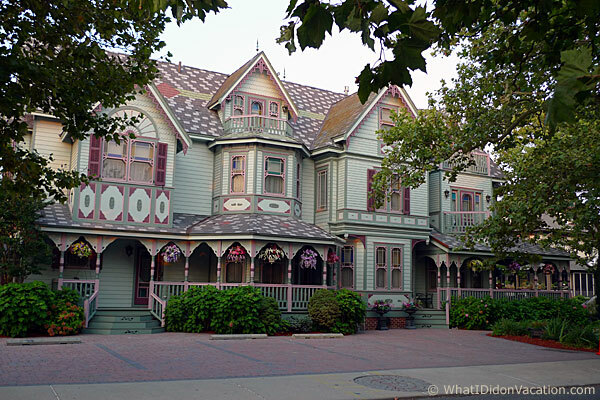 It is know for its large collection of victorian style houses. 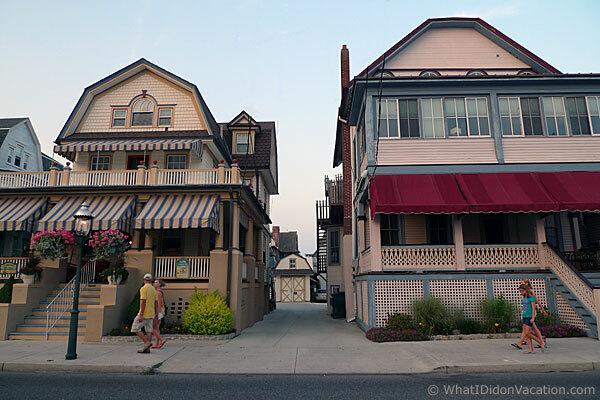 In fact, the district along the beach is almost entirely victorian. 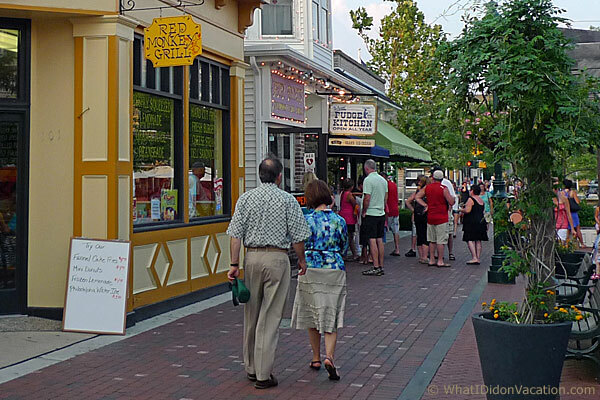 Although Cape May does not have a boardwalk, it does have a pedestrian friendly, brick paved shopping district - called the Washington Street Mall, and a promenade along its pristine beaches. 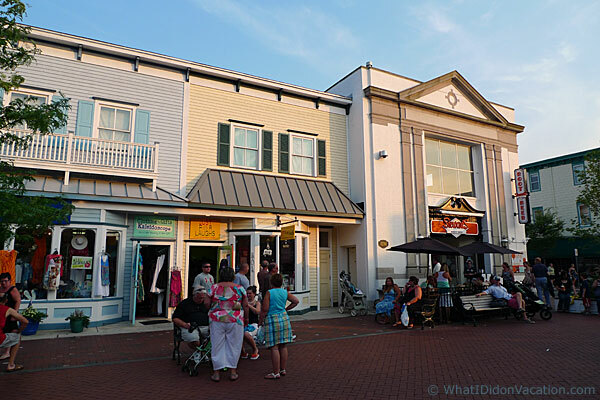 The Washington Street Mall is a brick paved unique shopping area in Cape May. 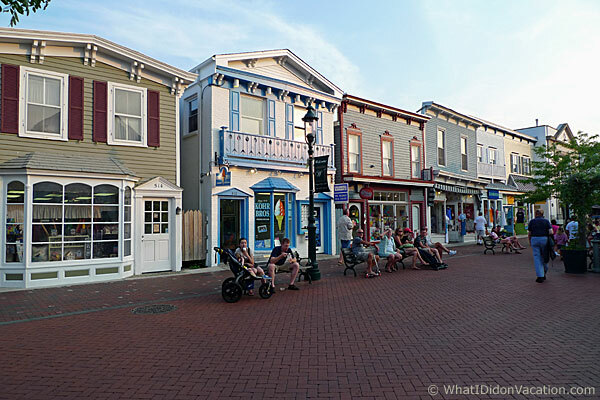 All of the store fronts are made to look like small cottages in an idyllic town. 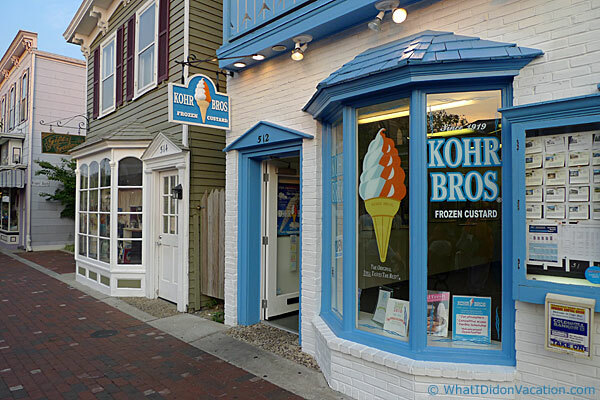 Kohr Bros. frozen custard shop. 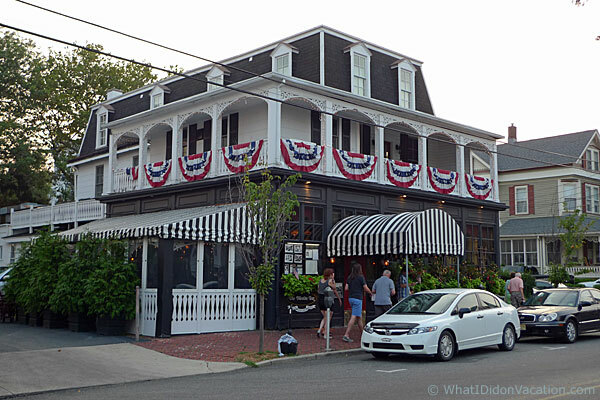 As I noted above, Cape May is just a bit upscale. 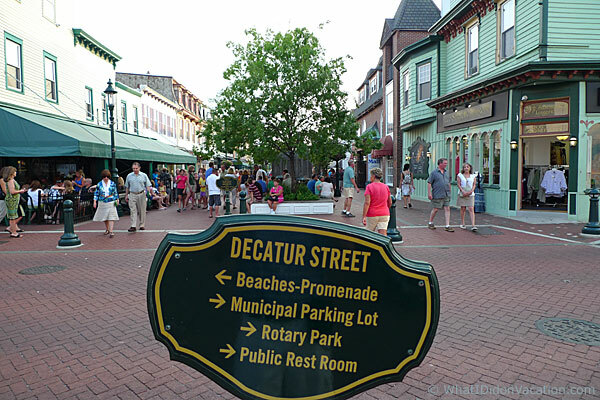 More shopping, including Stewarts Root Beer shop on the right. 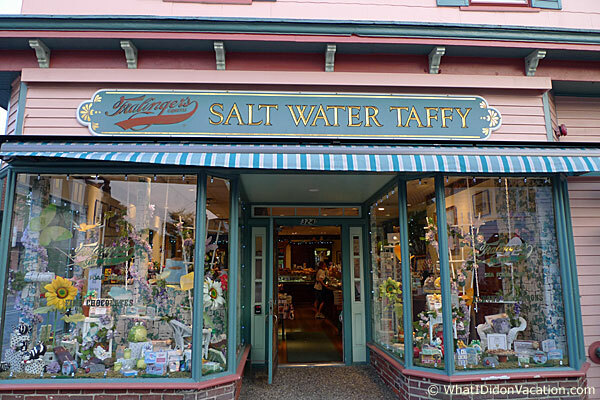 A salt water taffy shop that seems to have a lot of crafts also. Parking to the right, beaches to the left. When you run out of other things to do on vacation. A lot of the victorian houses are available as rentals. 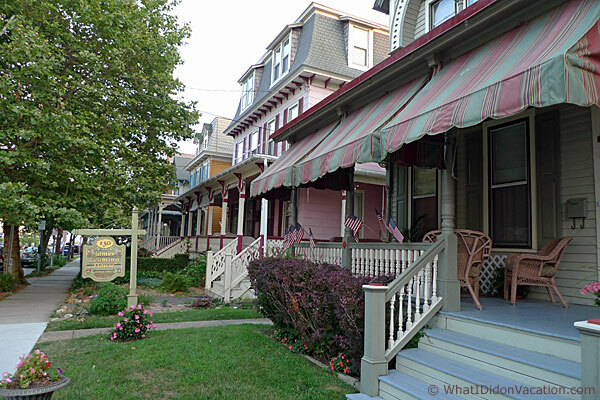 Some victorian houses are bed and breakfast lodging. Above is the Empress Bed and Breakfast. 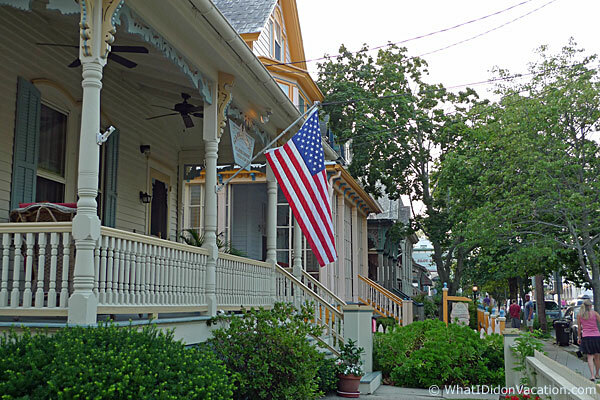 The front porches of these houses are very inviting. These houses make me want to stay here. Cabanas Beach Bar and Grill downstairs and Martini Beach upstairs overlooking the beach. 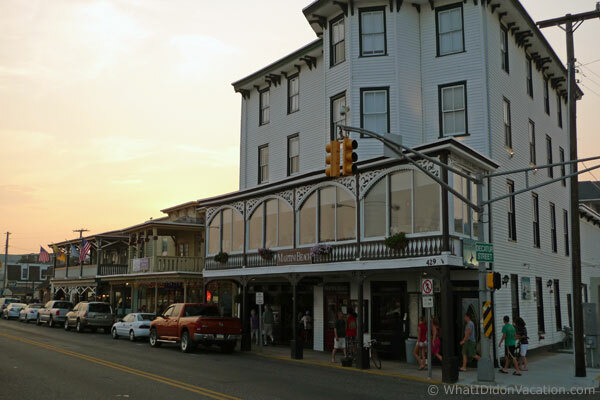 This is Cape May's Promenade along the beach. 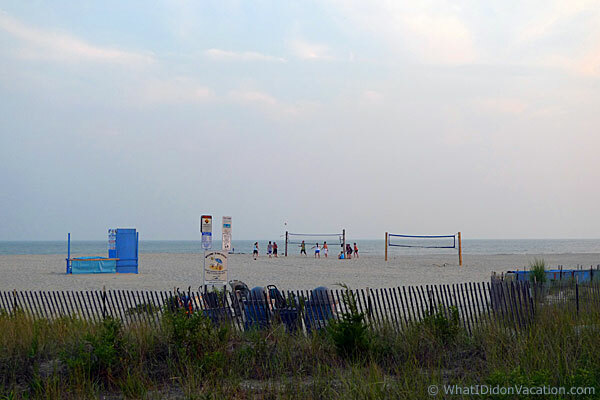 The Cape May beach just before dusk. The Cape May beach is a paid beach. You will need permits to get onto the beach during the day. 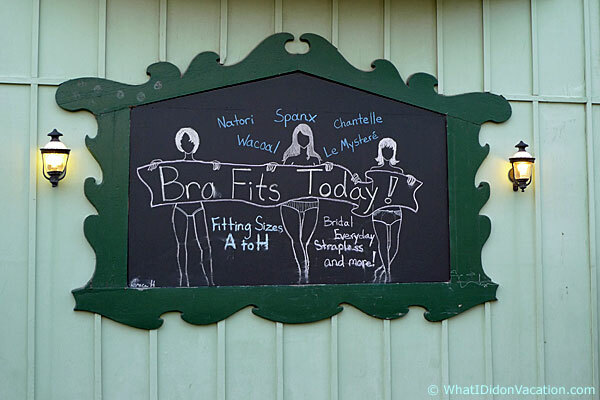 Permits are available for purchase throughout the town. 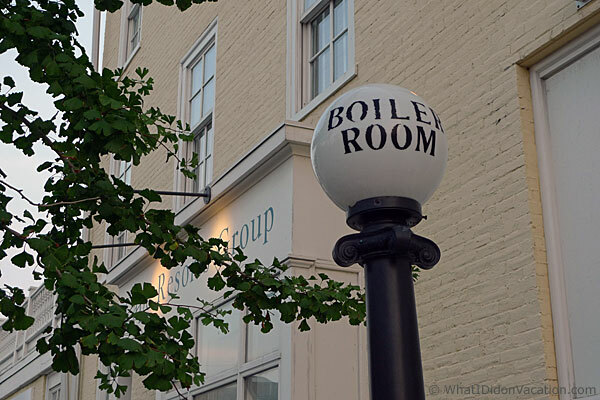 The grand exterior of the Congress Hall Hotel. A unique street light in Cape May. 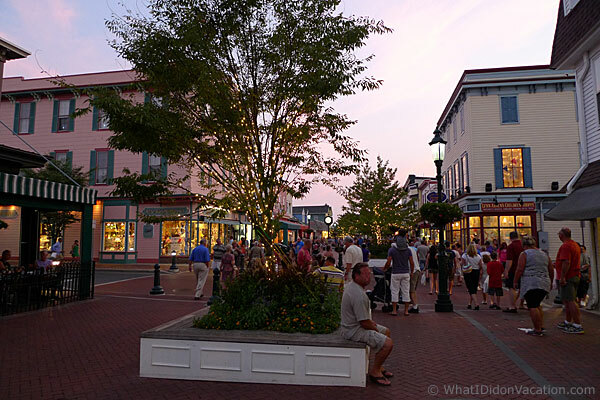 Evening begins at the Washington Street Mall in Cape May. Page 3...We're here, now what?